For this painting I am using Bockingford 140lbs NOT watercolour paper. I have penned the outline here to help with viewing on the website but you would draw it lightly in pencil. You will see that I have marked on colours in the sky to enable me to make reference to them. You will not, of course, pencil them onto your sketch. 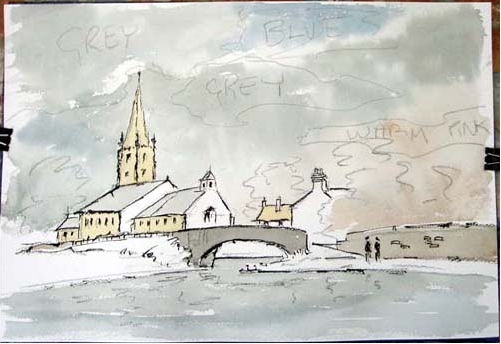 The grey in the clouds is made with Paynes Grey & Burnt Sienna. 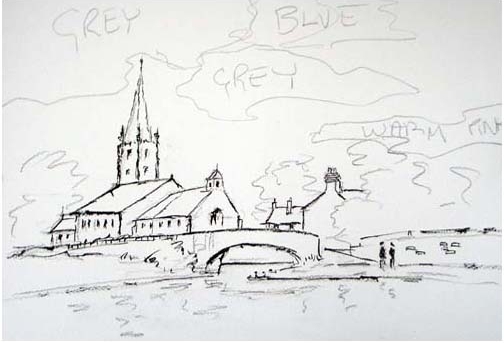 The Blue will be Paynes Grey and Winsor Blue (only a touch) I will also use it in the water. 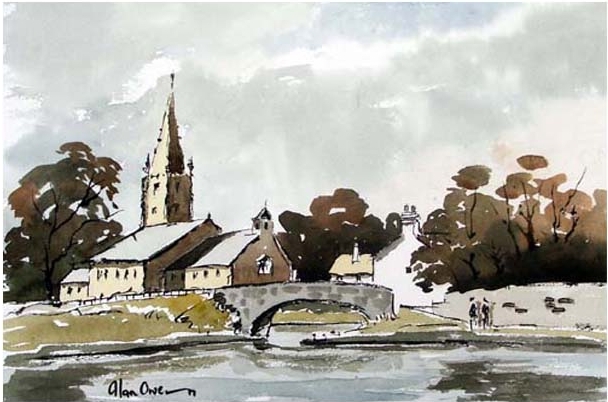 Now I have added some Raw Umber/Cad Yellow mix to the church. 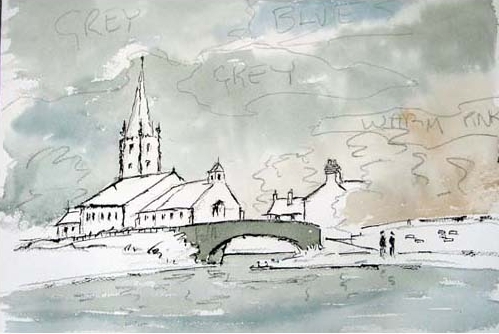 The church roof was the sky colour and the wall was Paynes Grey with a touch of Raw Umber. ………and there you are……..all it needs is your signature.